Discussion in 'Portable Vaporizers' started by 7thFloorVapes, Dec 11, 2017. 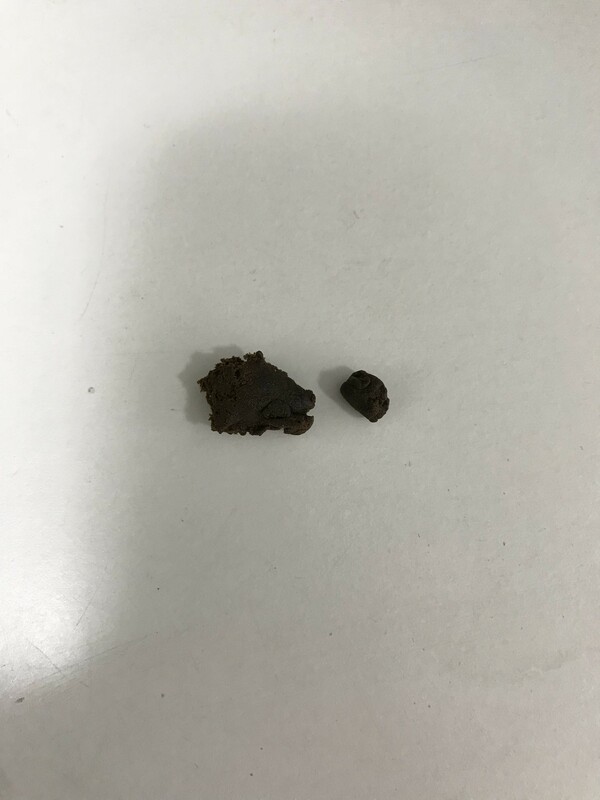 Guys, how do you vape this hash in the ELEV8R? Just put it over the concentrate pad and heat for about 1 minute? Doesn’t the concentrate get all sticky after? Also, is the quantity on the right ok or it’s too little? BigJr48 and BornAgainSteama like this. Interesting, I was awaiting your comparison. Ive still been undecided about whether to get another coil to fit a dual quartz heater setup (bit too loose on quartz my current one, so switching from glass to quartz may not work so well). I just wasnt convinced I rated the quartz performance enough to switch to it exclusively. I did also feel it had a little less "oomph" for extraction. I was sure I had to work harder inhalation wise, like the donkey noticing the bags seem heavier and the hillclimb slightly more. I couldnt be sure how much this was due to the added draw restriction with the quartz' narrower interior. I wonder if you noticed the slightly reduced airlfow yourself? I havent used the quartz heater enough so Im not saying that is good or bad in this case, but I couldnt believe I was the only one who noticed it or at least that much. Guys- I broke my Digital Herborizer Ti last night. I turned it up too high to burn off black rosin residue from the Ti and I buggered the heater or control box. Not looking forward to emailing Seb now. The situation was already complicated enough. Oh wepl, stupid me. At least the trusty Elev8r keeps me company. With several heaters, sick clips, bowls, a coil AND a torch...well it is hard to not have a working Elev8r on hand. Thanks for sharing your impressions @BornAgainSteama always of value and interest. I am going by feel here. There are not many outward visual differences between the glass heater and the quartz heater. The quartz is a little bit shorter and better made. I do not think the physical differences that I can see account for how much better I like the boro heaters over the quartz. The borosilicate glass gets hotter faster and the heat lasts longer was the impression I got after using the quartz heater for a few days. I have now switched back to my old glass heater and I do like the borosilicate heater much better. I know quartz can handle much greater temperatures and much greater thermal shock but these things don't seem to have much to do with how effective an ELEV8R heater is imo. From my experience I would recommend going strictly with the glass heaters. They are $10 bucks less, they work better, and I have been using the same glass heater since December 2017 almost daily. When it comes to the ELEV8R heater I am a boro man 100%. One thing, the quartz heater is more nicely made than any of my three glass heaters. The quartz heater is a work of art, but I don't plan on framing any of my ELEV8R heaters. BigJr48, alex91, Alexis and 3 others like this. Is this position ok for the concentrate pad or it should go deeper? Also, I now realize it’s kind of stuck. I tried tapping and it won’t move. I think that is as deep as it goes. It can get a bit wedged in there, you will learn to drop it in more gently so that you can practically always tip or tap it out. You may neee to just push through the screen to get it loose this time. Also no need to keep the screen on there unless you do herb at same time. BornAgainSteama, alex91 and BigJr48 like this. Is the male joint on the ELEV8R's heater a regular 18mm? You mean the bottom of the bowl as it attaches to bubbler? I always get boggled by this terminology. But it is 14 mm. Joint reducer as standard or 14 mm bubbler. Are you coming on board? I know you were lookiing for assurance that microdosing is very achievable. It is possible, but not the best or most practical/rewarding way to use this vape IMO. It can work as a one hitter quitter though no sweat. Just load it up and hit any time, then leave aside. Is the heater screen removable? How do you remove it? Some hash got stuck into it and it’s a bit dirty. Also, what is it for? Yes bro, those screens come out easily. They can seem like they wont move but I just poke them in with my finger now on one side to flip it. Previously I was using the sharp point of a kitchen knife to dislodge it. I always remove and soak seperately when I clean the heater. And I believe the purpose of the screen is simply to stop herb flying up there when you shake the bowl which is how the Elev8r was designed to be aggregated. highasakite, Mushroomturtle and alex91 like this. You mean the bottom of the bowl as it attaches to bubbler? I always get boggled by this terminology. I noticed. I tried to clear this up when lazylathe asked. 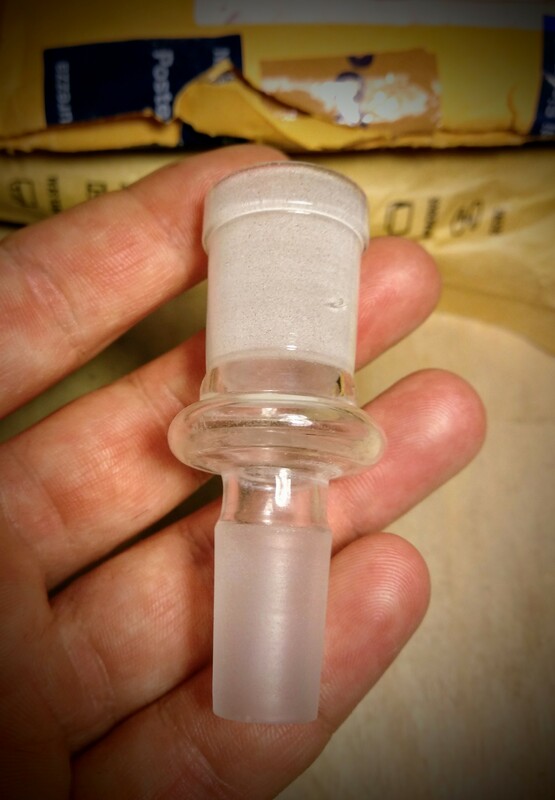 The WPA bowl piece is 18mm female to 14mm male. So yes, the heater has an 18mm male joint. The male joint on the Elev8r heater is 18mm. Yes, standard. So if you already have another bowl (18mm female to 14mm male), it will fit the Elev8r heater. The bottom of the rig attachment/bowl is 14mm male. Nope I'm interested in the opposite side, the female end of the bowl where the heater sits on. Are you coming on board? I know you were lookiing for assurance that microdosing is very achievable. I'm more into macrodosing, I was interested into this unit when it came out but I was waiting for the quartz heater release as the first feedbacks about the glass ones cracking had me worried. I took an almost year long break from FC and coming back this is the only "new" device that still interests me. A friend of mine is currently in the US so maybe I'll have him buy one for me. if you already have another bowl (18mm female to 14mm male), it will fit the Elev8r heater. Exactly what I wanted to hear, I plan to use it only with a bubbler and I already own several bowls. highasakite and BigJr48 like this. I have always been a little afraid of taking out the heater screen, but Alexis gave some good info on that. Is is simply held in by friction? I thought I might not be able to get it back in the heater properly if I took it out. I'm guessing that's just because the boro and quartz heaters are so similar, that they just used the same pic....just curious. BigJr48 and Alexis like this. Alright, gonna whip out the elev8r and take it to another level. Not a full bowl, just enough to cover the screen. Gray Area, highasakite, BigJr48 and 1 other person like this. Yeah absolutely nothing to fear removing that heater screen. It pops in and out perfectly better than any screen ever. If only all screens had such easy, fast eyes-closes installation. Okay, you are gonna have me confused with your ground glass terminology Lol, but I just checked my heaters. My quartz heater is actually very smooth, not rough and coarse looking like in your link. My glass heater is a lot less smooth. But that does look like a quarzt heater in those pics definitely. @The Beagle good tips above from highasakite. Your exact bowl design and shape will influence the performance and extraction. My smaller bowl from Vapefiend puts the screen closer to the heater and is more funnelled. It enables a faster extraction and can hit a bit harder with a smaller load, and needs less heat whether coil or torch. You just dont want to put too much distance between heater and screen I think. I think the stock screen is the maximum distance and no further away. I am also a macrodoser. The Elev8r suits the macrodoser very well. Too well! Like giving a super fast bike to a danger man lol. I hope you will enjoy this vape as a different and complimentary one to your Herborizer. They are indeed very different in experience and effects. Mushroomturtle, highasakite and BigJr48 like this. Can you show us what your 18mm to 14mm bowls look like? I already own several Keck clips and I have no use for the disks as no concentrates around here but thanks anyway for the suggestions. That's a very good point, anyone can tell me the distance from the top of the bowl to where the screen sits in the original one? I'm even thinking about selling the Herbo as I almost never use it, that's how good and practical the Vapcap is. highasakite, BigJr48 and DirtyD like this. Is it necessary to use the sick clip? Can a keck clip be used? They are really the same thing. Just make sure you are using a metal one instead of plastic. Alexis and The Beagle like this. Herbo 18 mm keck clip on left, on the right is the 7th floor sick clip that came with my quartz heaters. The keck clip fits fine. Except it was a bit more tricky to slip off as the 2 "levers" on the left prize apart a bit and it is a more slippery procedure where I expect I would brush my fingers against the hot heater more often as it wobbles more in my grip, if that makes sense. But yes it fits very well and should work no problems. @The Beagle that is nice that you are pretty fully content with the Vapcap. The Omni and Elev8r are my daily drivers, but most days I do use both at totally variable points. Some days I only use the Omni and run 8 to 10 full loads plus usual edibles for digestive support. Other days I may use 2 or 3 Elev8r loads (0.2 to 0.4) plus maybe 4 to 6 vapcaps, or less. I try to be conservative without depriving lol. The Elev8r is a far more powerful extractor than the Herborizer, not saying it is "better", just very diferent in performance and effects. I do think the Elev8r compliments the Vapcap very well. Actually it is a little bit like a cross between the XL Herbo and Vapcaps. So I think there is a chance it may serve a role for you and would be an enjoyable and refreshing experience as a bit of variety next to the vapcap. In terms of vapor quality and purity, the Vapcap is like cheap gasoline compared to the premium fuel of the Elev8r (if there is such a thing- I dont drive lol). But I would personally never be satisfied with only the vapcap. It is a brilliant device no question, but nowhere near as effective IMO at delivering and transferring the full medical potential of cannabis vaporisation. All vapes vary in terms of how medicinal the vapor is. So I would not want to limit myself to the vapcaps as I strongly feel there are notable health benefits to be gained from using certain models. The FP Showerhead and Herborizer Ti are the 2 devices I find to have the most direct, powerful and deep medicinal action on the body, even more so than the Elev8r. Im not sure what physics underlies this phenomenon but I do hope in time this will receive more recognition and attention as science delves deeper into cannabis vaporisation. The Beagle, highasakite, BornAgainSteama and 1 other person like this. That’s some really nice points. Coincidentally or not, the ELEV8R and Omni are also my daily drivers. As an enthusiast I can’t help but wonder: are the differences in, as you said, medical action, of the FP or Herborizer Ti, in comparison to the ELEV8R, big? Or it’s just a discreet difference? I honestly feel the ELEV8R is the end game (at least for me). It’s all glass, so “raw”, but I can’t deny that hearing about the FP or Herborizer Ti bringing deeper effects makes me wonder: what else can I expect? I’m also asking you this because sometimes for me it’s weird comparing different vapes (not that there’s anything wrong doing it). Everything affects the high: dieting, exercise, sleep patterns, overall mood etc. Sometimes I’ll hit it once or twice and feel good, but not too high and other days I’ll hit it once or twice and be too high. I kind of like it for being unpredictable. Anyway, just food for thought. Mushroomturtle, highasakite, Alexis and 1 other person like this. There a differences in all the vapes you listed that affect the kind of high you get or the type of session. I have a few vapes that all have different signatures, from conduction to convection. They all get me very high and they all are unique. BigJr48, Alexis and alex91 like this. 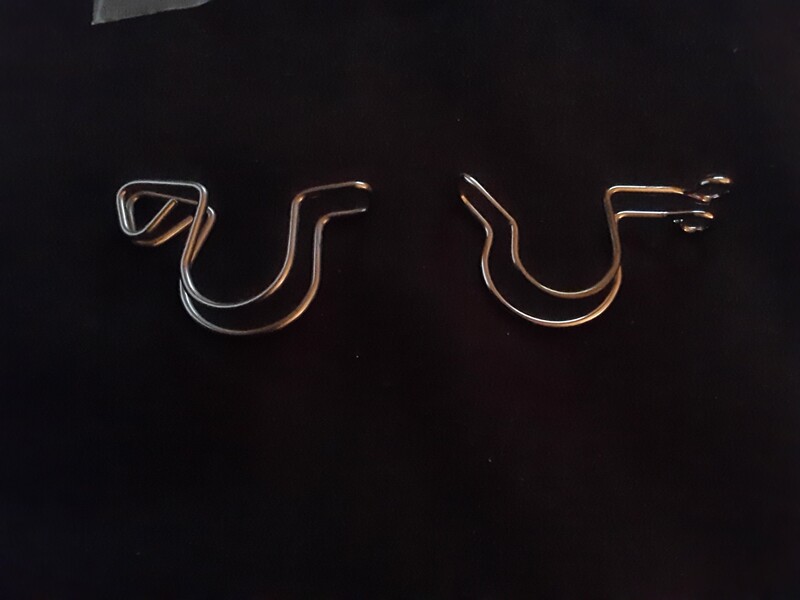 These clips seem to be worthy of the $$$ shipping cost. I thought a lot about buying a FP as I only use my vapes with glass at home but the idea of dealing with cables and wires really puts me off. Alexis and BigJr48 like this. Also kinda depends on where you’re starting from. 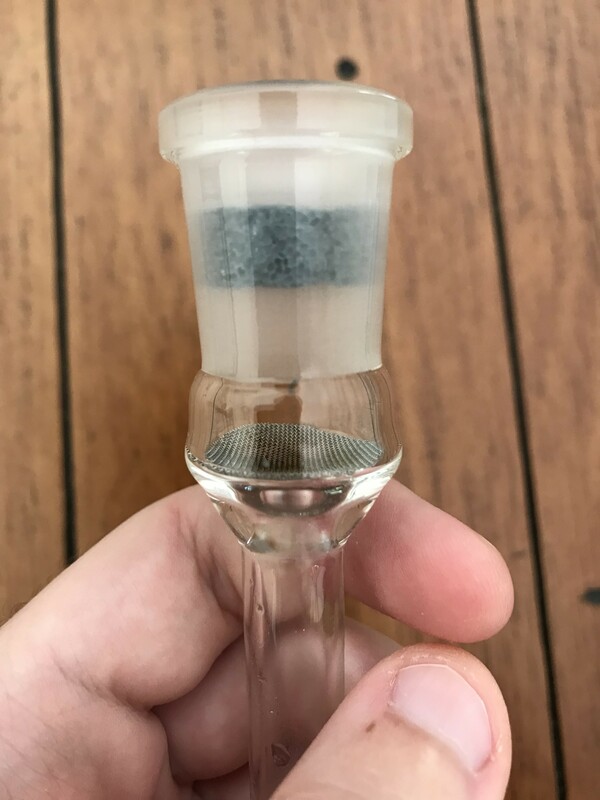 If someone already has an 18f/14m and either a Sherlock or a bubbler than really all that is needed is a heater and the concentrate pad, which can be snagged for 35 bucks plus shipping. I’m not real savvy with the enail game, I bought a controller solely for use with my SV3 @JCat mod (powerful Jcat!). I can’t recall if I’ve shared my thoughts on the quartz heater yet but like many, I’m kinda divided on it. I like that it has held up better than my glass ones (in that both glass ones have broken), but the flavor feels muted and it doesn’t seem to pack the same punch that I recall. That could be due to quality in my flower (I’m in an illegal state and though my hookup is reliable in terms of having supply on hand, the quality is pretty spotty and it’s almost always lower shelf, but beggars can’t be choosers!) or plain old placebo effect. If someone were to ask me which heater they should get I think I’d probably lean toward the glass and hope I got a cherry instead of a lemon! Side note, I’m very pleased with the @7thFloorVapes customer service. I had purchased a standard 18/14 reducer on their website that is slightly smaller in interior size than the elev8r wpa. I received the elev8r model instead and reached out. I exchanged a few emails with Jason and honestly, I would’ve been fine just accepting the situation as it was, an honest mistake in which I received a product valued higher than what I ordered, and would have been okay with just ordering again in the future as part of a larger order. Once Jason understood why I was after the lesser cost item he shipped it out to me right away on their dime. This took place over a month ago and I just got distracted with other things, but this shout out was long overdue. Big thank you to Jason and Seventh floor! Just one of many reasons I’ll continue to be a repeat customer! Alexis, Diggy Smalls, highasakite and 3 others like this. I use a coil on my Elev8r mainly. I use the concentrate pad for pressed rosin with the coil too. I was almost going to buy a banger....but the health stone pad deal works so well. Some say better than the metal pads, though I have never used those. I can also use flower or flower with kief....what ever in the normal bowl with screen. So the Elev8r covers so much use scenario for me. It is why it is my #1 vape to grab daily. So it just depends on how you use and what other vapes you might be using as well. It fits me well as I only go through water anyway.